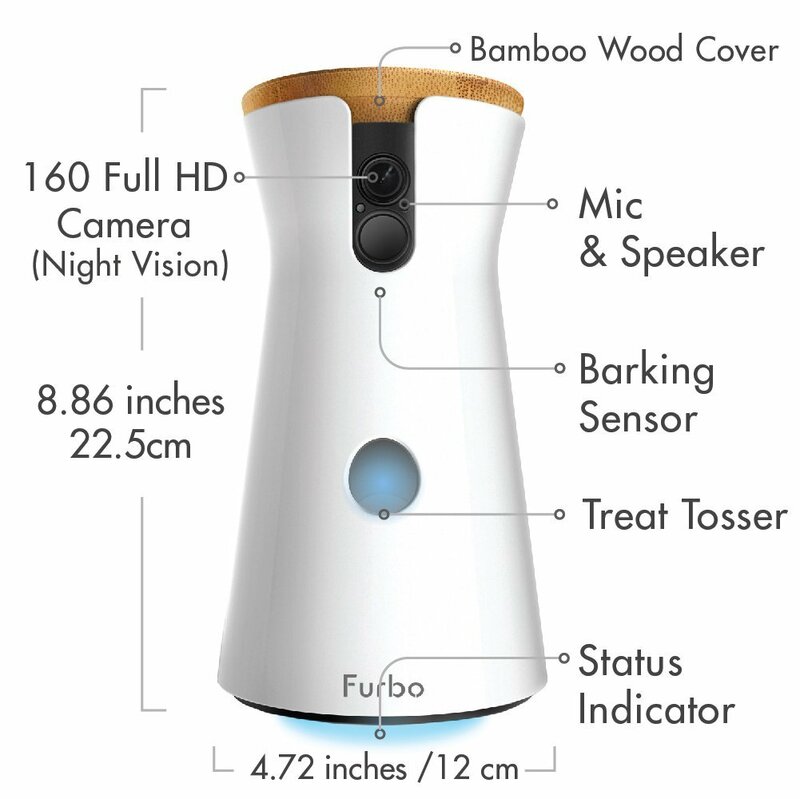 Essential pet monitoring device - we have found the Furbo Dog Camera to be the best device on the market for monitoring your dog AT HOME - the only pet camera with Dog Recognition Technology! If you want to TRACK your dog with a dog GPS tracker, visit our NEW page - Dog GPS Tracker! An awesome piece of modern technology that allows owners to check on their dogs and even give them treats while they are away from the house! 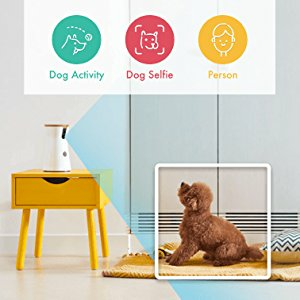 The camera lets owners spy on their pooches and see what they’re up to by accessing the camera through an app on your phone. It also has a microphone which means you can communicate with your pet giving them reassurance and there’s an interactive game setting that can give your dog treats. The device is about the size of a water bottle being 5.9 x 4.7 x 8.9 inches and weighing 1.8 pounds. It has a wooden top which is actually quite attractive in a home monitoring device! 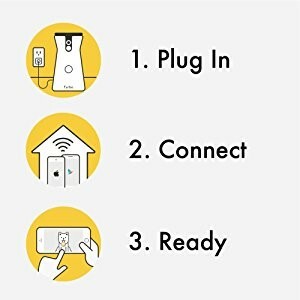 You simply connect it to your WiFi at home and download the app to your phone. You then just add the treats before you leave the house and you can choose when to give them to your canine buddy throughout the day. Plus it also works with Cats if you have feline friends too! Peace of Mind for every Dog Parent! Over 5,000 vets, professional dog trainers and dog owners have all given input in the development of the Furbo Dog Camera. With features specifically designed for dogs, you are able to interact with and see your dog at any time, simply by downloading an app! Excellent if your dog has to be left for any length of time (we of course don't recommend leaving your dog but sometimes it is unavoidable for a short period) and also a great pet monitoring device for those pets suffering from separation anxiety. Connect to your home WiFi - it does need to be near the WiFi source or you may need to get a WiFi booster if for example your WiFi is in the loft. The Furbo Dog Camera uses Dog Recognition Technology to send you 3 different alerts so you know exactly what your canine buddy is up to! 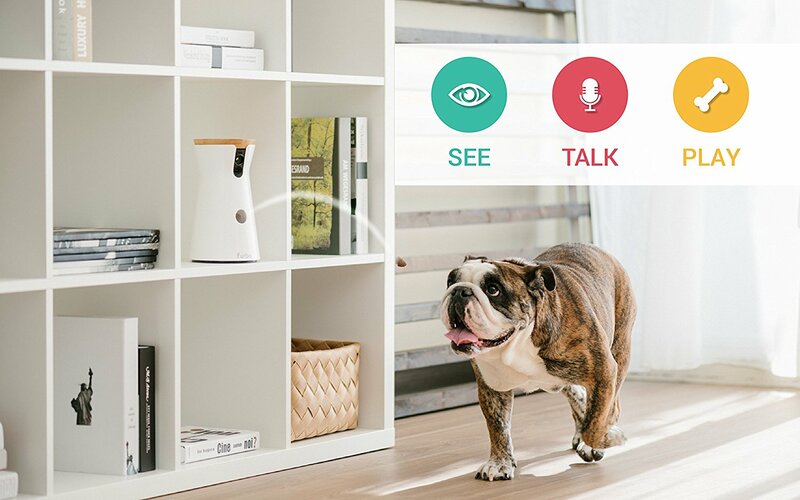 Other home monitors send general alerts for all movement, however the Furbo's Smart Dog Alerts only notify you of dog-related activities. The App saves photos of things that happen in your doggy's day that you can share on social media to friends and family and keep a treasured album of your pet's activities. 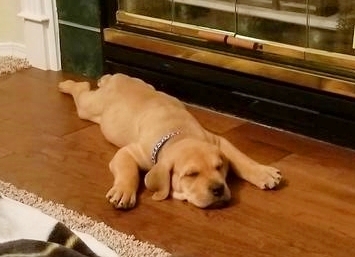 Any activity that your dog is doing continuously can be detected - eg. jumping on chairs, chewing your cusions! Another feature is it can detect repetitive patterns like licking and pacing which may be a symptom of separation anxiety. Furbo tells you if a human is in the area it is monitoring, be it a dog minder that's meant to be visiting or an intruder that shouldn't be there!! Yes your fur baby can take selfies!! 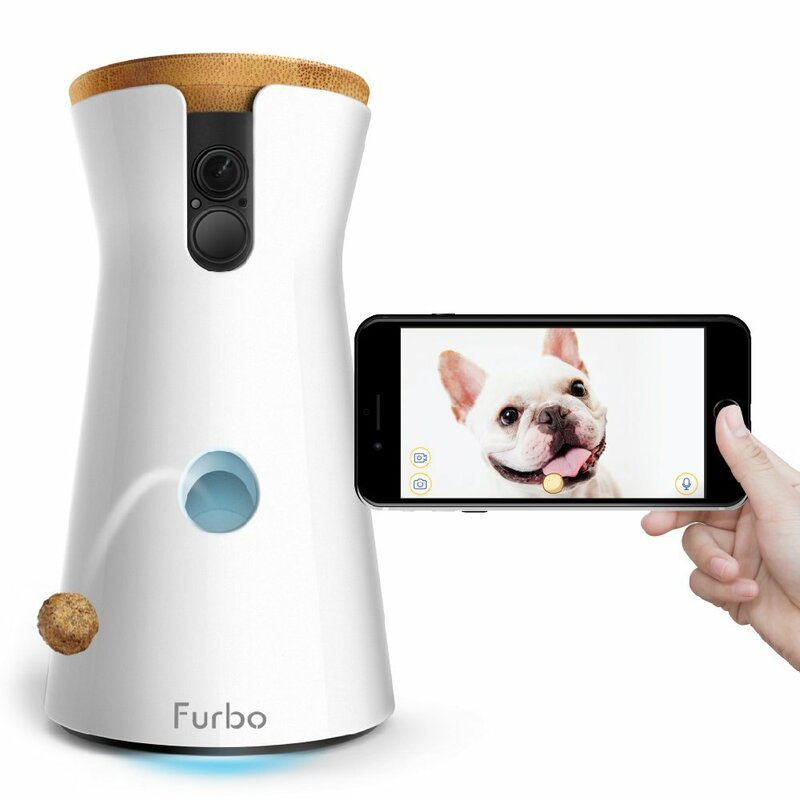 Furbo is so clever it knows if your pet is facing the camera and can take an adorable selfie - you can set the App up to get a notification on your mobile device with the pic of your fur baby - how awesome is that?! Each alert can be turned on and off to suit your requirements. The longer you are using the Furbo pet monitoring system, the more it learns about the pattern of your dog's time alone and you'll know exactly what your dog is doing as it happens! 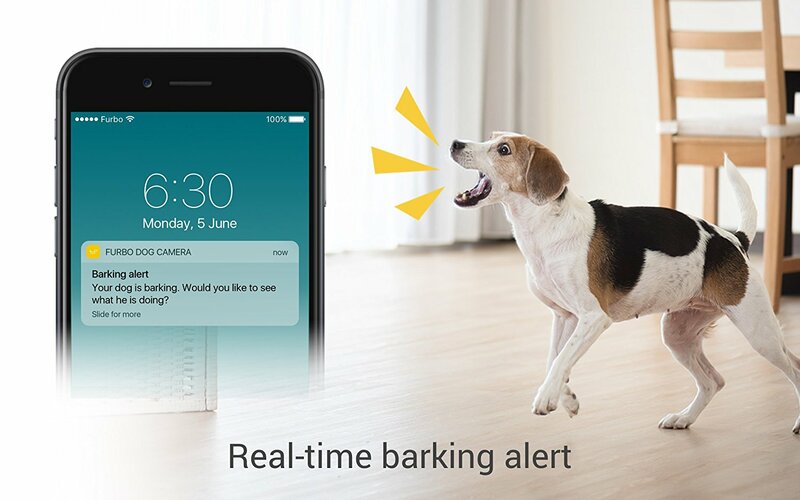 The Furbo can detect when your dog barks and send a notification to your phone - you can then talk to your dog if they need calming down or reassurance that you're not far away! 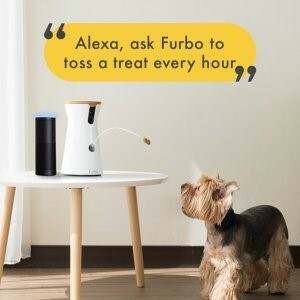 The Furbo has a feature whereby you can fill it with over 100 treats of your choice and you can set it up to 'fire' treats for your dog to catch at times you choose - this is a UNIQUE feature to this camera and, in my opinion, sets it aside from others on the market. Pet monitoring at its best! This works with Amazon Alexa and apparently treats of a size 0.4 inches diameter work best. 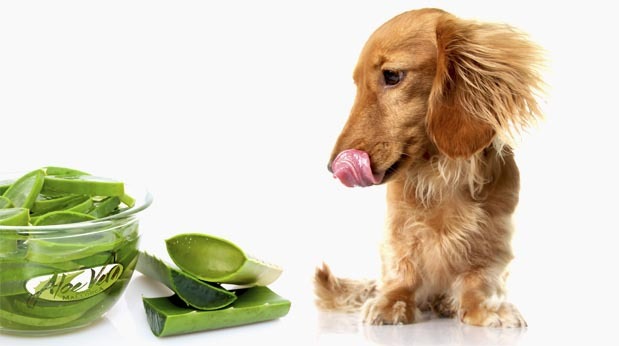 You can schedule a treat to be tossed as you leave the house and then at certain intervals - your pet may not mind you going so much if they are expecting their Furbo treat. 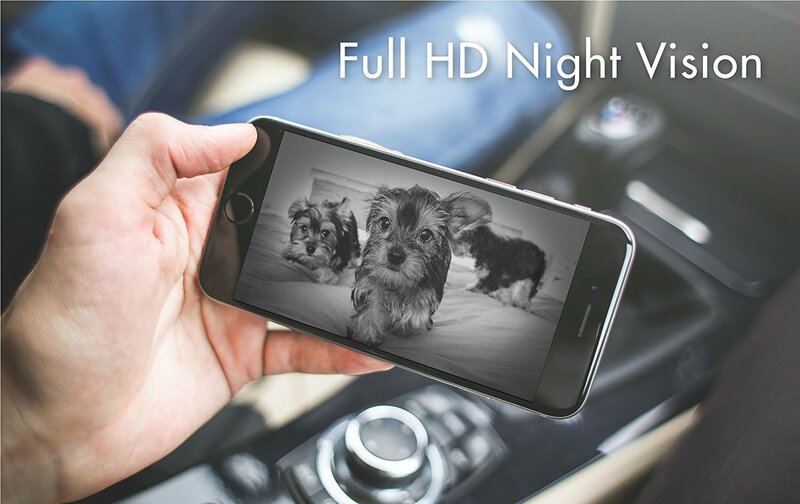 Pet monitoring is made even easier with the 1080p camera 160 degree wide angle vision, both during the day and night. The Furbo comes with a one year warranty from date of shipping and you also have the option of a 30 day return or exchange. I personally think this is the best pet monitoring camera on the market with the best Smart technology. It's incredibly cool and clever and offers peace of mind on those occasions when you do have to leave your beloved pet alone. Click the link below to find the best deal on Amazon.